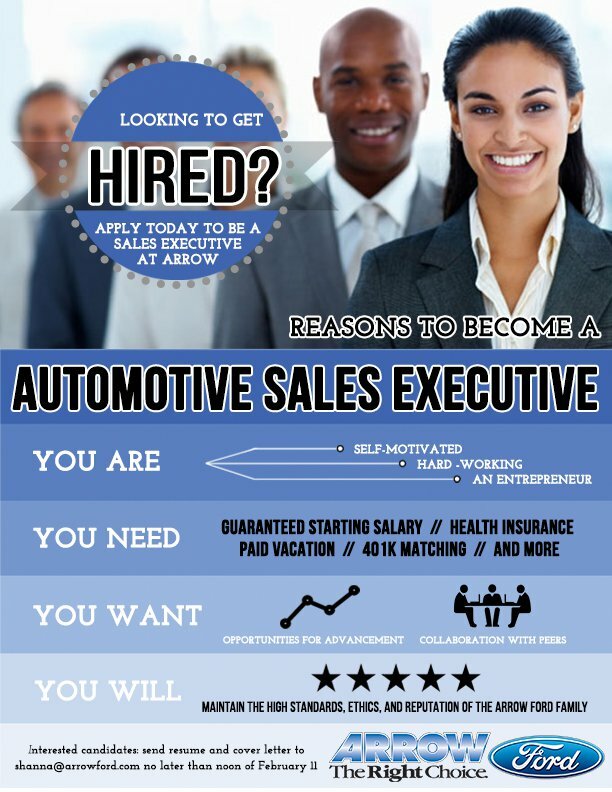 Arrow Mitsubishi is always looking for well-trained and experienced automotive professionals to join our team. We take pride in providing a high quality of service to our customers, and are happy to provide career opportunities to sharp and enthusiastic people. If you are interested in applying, we invite you to take a look at our vacant positions below and email us your resume at hiring@arrowmitsubishi.com. Isn’t it time you took your automotive diesel service technician career further? Automotive Diesel Technicians perform work specified on maintenance and repair orders on diesel vehicles with efficiency, and in accordance with dealership and/or Mitsubishi standards. Automotive Diesel Technicians diagnose and repair vehicle automotive systems including engine, transmission, electrical, steering, suspension, braking, air conditioning, etc. to specification. Automotive Diesel Technicians provide labor and time estimates for additional automotive repairs. Explains diesel mechanical diagnoses and required repairs in a non-technical manner to service advisors and customers. Must be a Mitsubishi Diesel Certified technician. 2 years of tech experience preferred. Arrow Mitsubishi has been family owned and operated for almost 53 years and is an entity of one of Abilene’s largest automotive groups. We are seeking to recruit Sales Executives to join our team and operate as entrepreneurs. The successful candidates will be joining a talented, sales-driven team, where they will receive ongoing training and development. Due to economic upturn in the automotive industry, this is a fantastic opportunity, at the right time for the right candidates. Arrow’s overall focus is to train and develop new staff so they can quickly progress into a selling position. Working as part of a larger sales team, the Sales Executive will be responsible for maintaining showroom standards and working closely with Senior Sales Executives while keeping customer satisfaction top priority. Be responsible for new and pre-owned vehicle displays while maintaining the high Arrow Mitsubishi standards and respected dealership reputation. Develop and maintain full knowledge of all products, accessories, and key features. Be responsible for the preparation of all new and pre-owned vehicles prior to handover. Excellent communication, presentation, and customer skills. Arrow Dealerships is committed to investing in their staff, ensuring to always deliver the best service to our customer. The successful candidates will undergo full Mitsub Group training as part of the overall Sales Executive program. Willing and able to take a background and drug test. Automotive Diesel Technicians perform work specified on maintenance and repair orders on Diesel Vehicles with efficiency, and in accordance with dealership standards. Diesel Technicians diagnose and repair vehicle automotive systems including engine, transmission, electrical, steering, suspension, braking, air conditioning, etc. to specification. Diesel Technicians provide labor and time estimates for additional automotive repairs. Explain diesel mechanical diagnoses and required repairs in a non-technical manner to service advisors and customers. mitsubishi Diesel OR ASE certification and 2 years’ experience as a diesel tech is preferred, however we will provide training for the right person. The right applicant will need to have their own tools to complete their daily tasks. Must hold a valid driver’s license with a clean driving record. Must have experience performing engine (automotive) overhauls. Team oriented, flexible, and focused on maintaining a high level of customer service. Automotive Technicians perform used car checklists to identify what repairs need to be made. Automotive Technicians provide labor and time estimates for additional automotive repairs. Minimum of 2 years of experience as an automotive technician (automotive mechanic) preferred, however we will offer training to the right person. mitsubishi Certification OR ASE Certification highly preferred. Hold a valid driver’s license with a clean driving record. Arrow mitsubishi of Abilene, TX is currently hiring for a customer-oriented and friendly Rental Car Manager to join their team. This role will be responsible for managing the rental car fleet, ensuring that customers are set up properly with rental vehicles, making sure that fleet upkeep and maintenance is up to date each day, and staff work is delegated appropriately. You will be the frontlines of this part of the dealership, and customer service is out top priority. Our ideal candidate will have experience as a Rental Car or Fleet Manager within the automotive industry, with at least 2 years of demonstrated skills in this area. Apply today to join our award winning team! 2 years of Rental Car Management, Fleet Management, or similar automotive dealership management experience preferred, however we will provide training for the right person. Basic internet and computer proficiency. Patience when dealing with difficult situations. mitsubishi auto sales are increasing –now is the perfect time to begin your automotive technician career! Quick Lube/Entry Level Technicians perform maintenance services including flushes, oil changes, tire rotations, brakes, etc. Continuously learn new technical information and techniques in formal training sessions while on the job in order to stay abreast of rapidly changing technology. Join our automotive service team as Quick Lube/Entry Level Technician – apply today! As a Quick Lube/Entry Level Technician we offer on the job, hands on training with online training including up to Senior Master Certified Technician. 1 year of previous lube tech experience OR recent auto tech graduate preferred, however we will train the right person. Automotive Service Advisors assist customers with their automotive needs. Selling maintenance items directly to the customer on the frontlines. Join our winning automotive service team – apply today! 2 years of Service Advisor experience preferred, however we will train the right person. mitsubishi experience is preferred, but willing to accept candidates with outside brand experience.